Winters in Bergen County, NJ can be long and chilly, which means you need a reliable and efficient heating system. 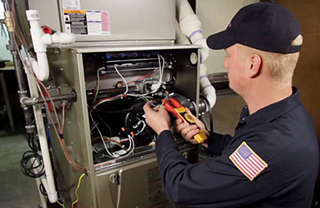 If you need a new home heating system installed, you can depend on GRC Mechanical. We’ve been in business for more than 60 years, and we pride ourselves with installing high-quality, high efficiency home heating systems. We’re pleased to offer some of the most trusted brands available, and professional home heating system installation by factory certified technicians. GRC Mechanical is licensed and insured, and is a Carrier® Factory Authorized Dealer. That means we proudly offer top-of-the-line new home heating systems that keep our customers comfortable and help them save on their utility bills, too. You can also trust our certified technicians for your annual seasonal maintenance. By choosing our Breathe Easy maintenance plan, you’ll know you’re getting the repairs you need – before suffering from a system breakdown. Our Breathe Easy plan is one of the most comprehensive residential plans in the industry, and it has been specifically designed to target potential problems or unhealthy situations and remedy them. That way, you’ll get the heating system repairs you need to keep your system safe and energy-efficient. When you need a new home heating system installation in Bergen County, NJ, GRC Mechanical is ready to assist you. Simply call us at 1-800-651-8222. Expand to see a list showing many of the areas in Bergen County, NJ in which we regularly repair and install heating systems. † $500 in GRC loyalty credit for GRC Breathe Easy clients, up to $1000 total in “Warm Advantage and Cool Advantage” NJ Clean Energy rebates available on select systems, client may receive up-to an additional $1,350 in Carrier® Cool Cash rebates. *Financing available with credit approval, requires equal monthly payments. Expires 6/30/19. 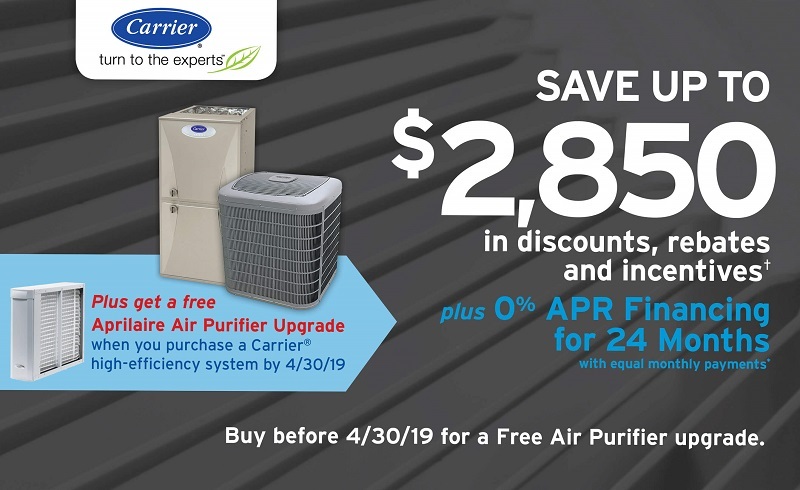 Free Aprillaire air purifier offer expires 4/30/19. See GRC for details.